Happy weekend! I hope everyone had a wonderful Halloween! I'm so looking forward to Thanksgiving and Christmas now, aren't you? 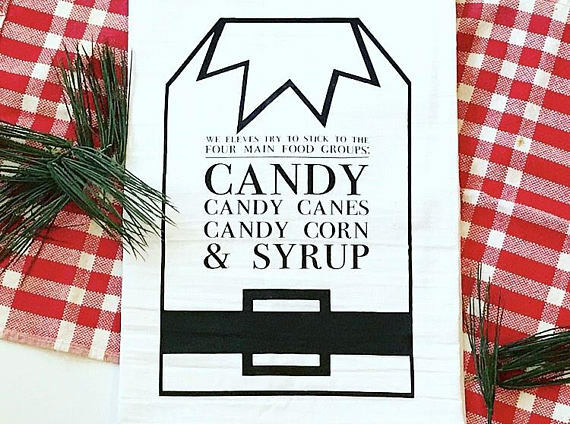 The Friday Finds posts during November and December are guaranteed to get you in the holiday mood, with unique gift ideas and festive decor. One of today's find also comes with a giveaway!! 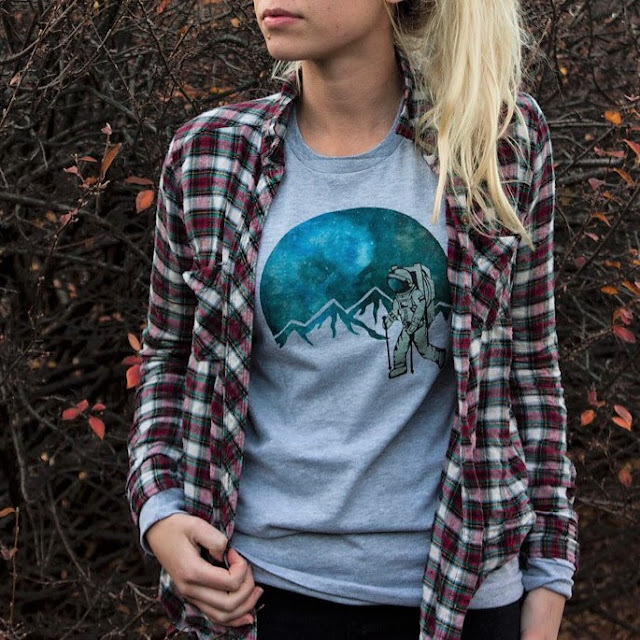 Katie at REV Collection is giving away one of her shop's coolest tees - the Adventure Astronaut Long Sleeve Tee. To enter, simply follow her on Instagram at @revcollection.co, tag a friend, and leave a comment telling her what your dream is. You have until midnight this Sunday to enter, and a winner will be announced on Monday. Good luck! Make sure you check out her chunky knit scarves and other tees in the meantime, as well as some artwork she is selling in collaboration with AlexLunart. These beautiful lunar watercolor prints were the inspiration for the RevCollection galaxy designs. You can purchase them separately or at a discount if you purchase them with a tee. At Shop 217 Designs, you'll find so many other beautiful home decor items. I really love the string art wooden signs and the wood-burned utensil sets. An absolute must this year is one of the super trendy wooden signs. 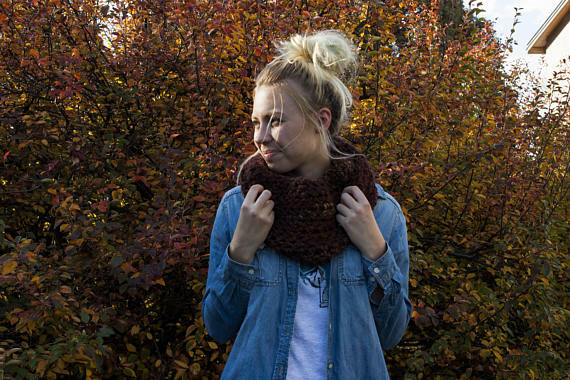 Check out all of the cute and cozy designs in their Plaid Collection. And just for you KCL readers, enjoy FREE SHIPPING with the code KCL217 during the month of November! 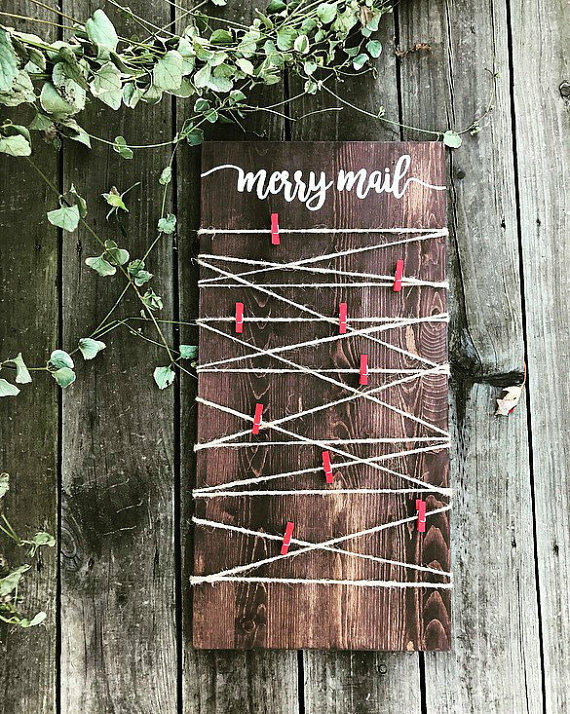 If you're ready to stock up on Christmas ornaments, and let's face it, who isn't; you'll want to check out these Modern Farmhouse Style Christmas Ornaments at Handcrafted by Lani. Modern farmhouse style is the top emerging trend this holiday season and it's no surprise why...it's so cute!! It's the perfect way to mesh that cozy country look with something more chic and modern. 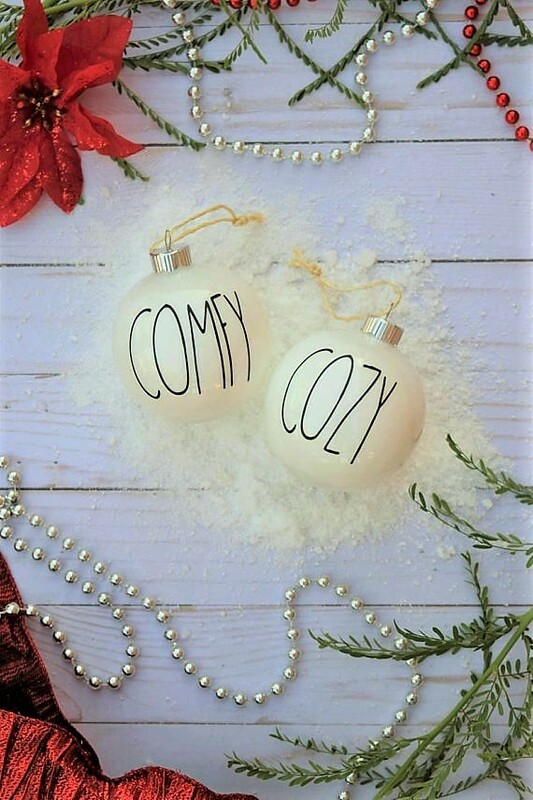 You can get these cute ornaments with your choice of black, red, or gold lettering, and it can be customized with any one word phrase you like. I love the "comfy" and "cozy" ones! If however, you're still using harvest decor for Thanksgiving, check out Lani's "gather" throw pillow and this reversible pumpkin/snowflake wooden sign. I love the reversible holiday signs. 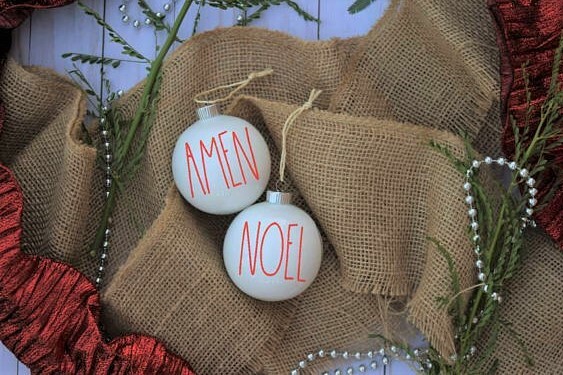 What an easy way to switch from harvest decor to Christmas decor. Check out all of her seasonal decor, and take 15% off with the code FRIDAYFINDS!! I hope you enjoyed these fun shops as much as I did. Take a moment to browse all of their gorgeous holiday items and take advantage of the coupon codes. And don't forget to enter for a chance to win that long sleeve tee!! I'm loving that flannel shirt and those ornaments are so cute! You've got me in the holiday spirit with these super cute finds, girl! I can't believe we're already entering the holiday season, it's crazy how fast time is going. Thanks for sharing and I hope you're having a great week so far!